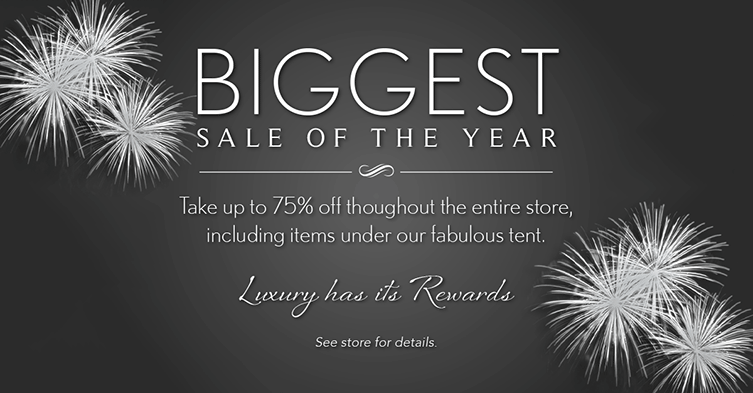 Save up to 80% throughout the entire store and under our amazing tent! No one needs to know it was on sale… And many other of the world’s best furniture brands. Noël Furniture’s Biggest Sale of the Year. Going On Now!